Finally found The Glam Glow Dupe that I've been looking for. Years ago, I stumbled on a cult mask that made me fall instantly in love. This mask was touted as a facial in a bottle by those who had the pleasure of trying it. I adored this product because the mask seemed to handle multiple skin issues at once. It exfoliated, absorbed oil, and even had ingredients that faded acne scars. My only issue with it was the price. For such a small amount, it required a pretty substantial investment. Since then, I've kept my eyes and ears open for a suitable dupe. I've tried a few but no other mask really seemed like a true replacement for GlamGlow until now. This mask came to me by way of a gift from The Body Shop. It came in a cute little box with several other items. The moment I noticed the small glass jar, I was elated. The first thing that caught my eye were the words "Himalayan charcoal." As you may know, I've been adding a sprinkle of charcoal to my facial cleanser, toothpaste, etc. A pre-mixed charcoal clay mask was like a dream come true. A day later, I tried the mask for the first time. I loved the consistency which reminds me of a homemade mask. As soon as I applied the gray paste, I did a double take. Suddenly, I was reminded of another clay mask that I love oh so much. Just like GlamGlow, this purifying mask has a gritty texture that exfoliates and smooths the surface of the skin. I also noticed the tiny green tea leaves blended into the mud (just like GlamGlow). And, as the mask dried, I felt the tingling stimulation from the tea tree and eucalyptus oil. 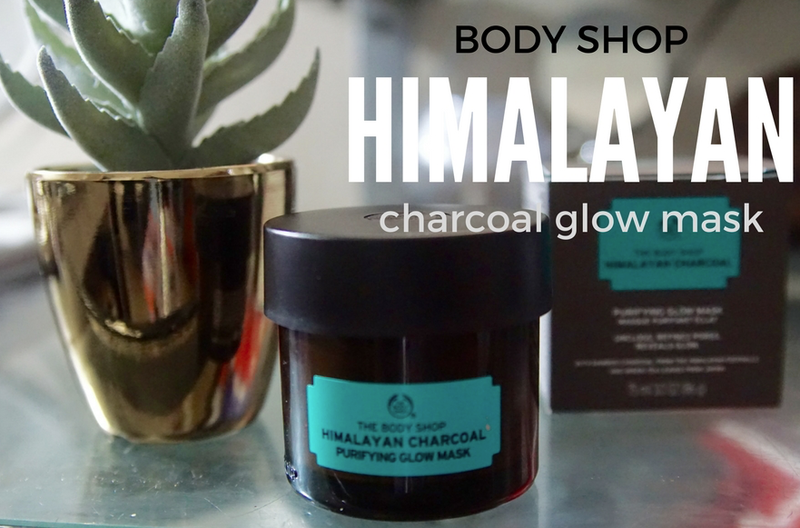 This Himalayan Charcoal Purifying Glow Mask is an instant favorite. I'm a sucker for beauty products that take on multiple tasks. This clay mask does just that. It purifies, exfoliates and deep cleanses your pores while leaving the skin soft and invigorated. Following my first experience, I immediately went online to research the price because I already made up my mind to purchase if I ever ran out. I came to find out that it was only $28. That's a fraction of the price of GlamGlow! And, based on the size of the jar, you get more product as well. I also prefer this packaging. This mask is definitely going with me whenever I travel. It'll save me precious luggage space since it's like having multiple products in one. The Body Shop out did themselves with this one. my boyfriend got this for me for my Christmas! (until then, Ive been sleeping on clay mask cause Im lazy lol) and I love it!